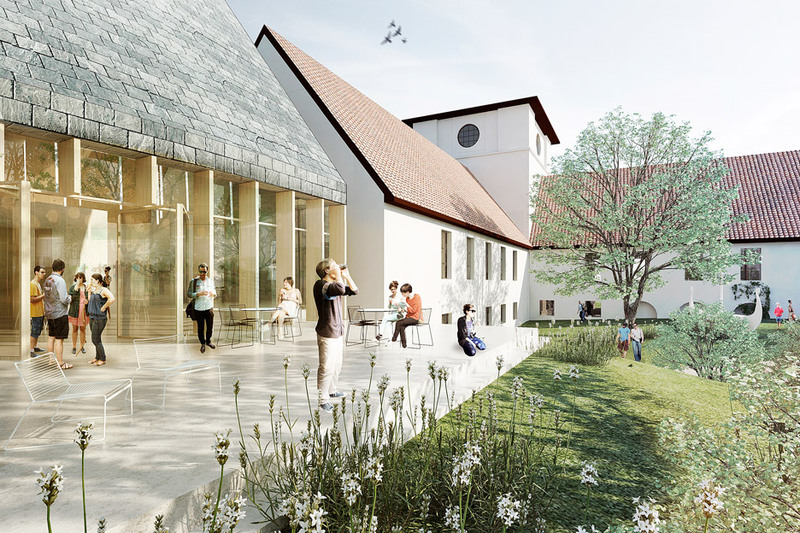 Nordic firm AART has won a competition to extend the Viking Age Museum building in Oslo, with plans to add a new curving wing to the cruciform plan (+ slideshow). 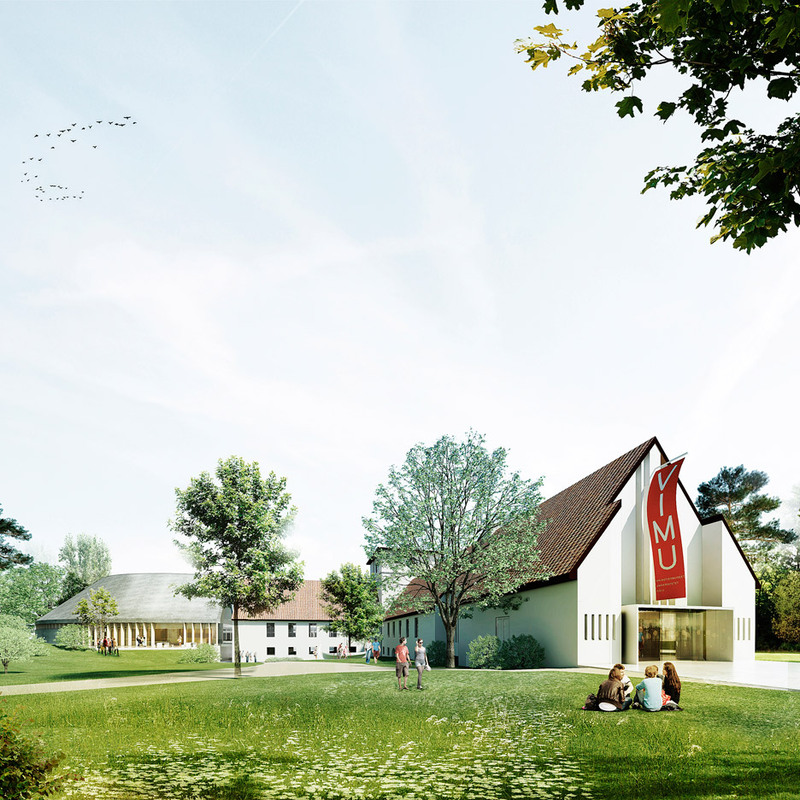 The contest called for a major expansion of the 192os museum designed by Norwegian architect Arnstein Arneberg, which is located on Oslo's Bygdøy peninsula and contains a large collection of Viking paraphernalia. 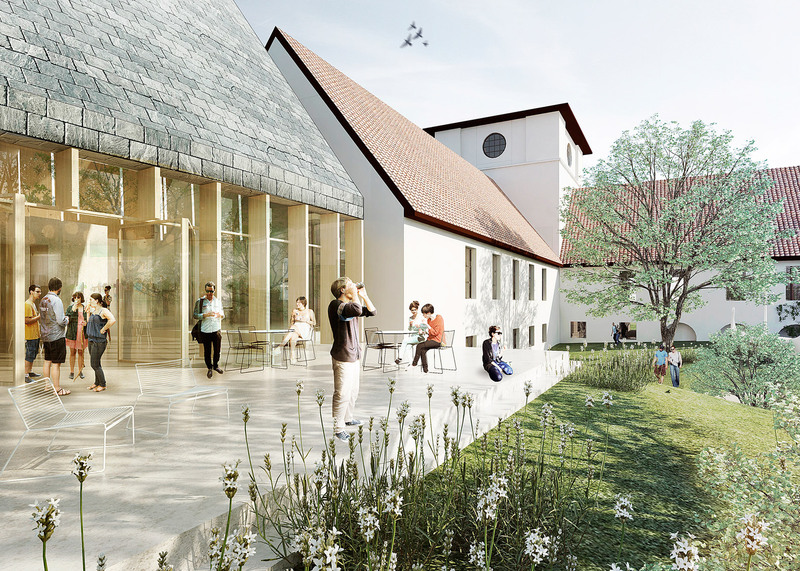 AART saw off competition from 110 entrants with its Naust proposal – a C-shaped extension that will connect the north and west wings of the existing cross-shaped building, which forms part of the Museum of Cultural History at the University of Oslo. 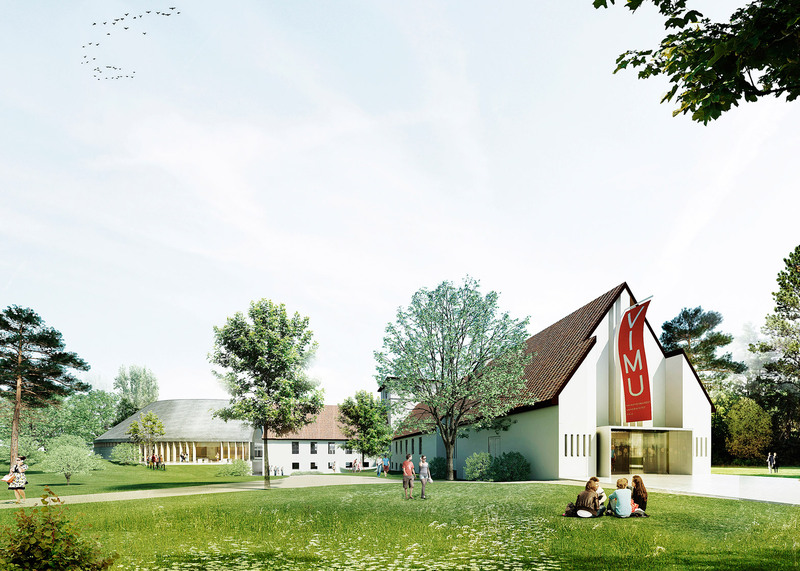 "With its bold circular shape, the extension will create a new iconic signature for the museum, while making room for an intuitive flow of exhibitions and preserving the Viking Ship building as a prominent, totally integral part of the new museum and the surrounding countryside," said the architects. The roof ridge of the extension will align with the gables of the old building, creating a looping form that will form a courtyard in the heart of the site. 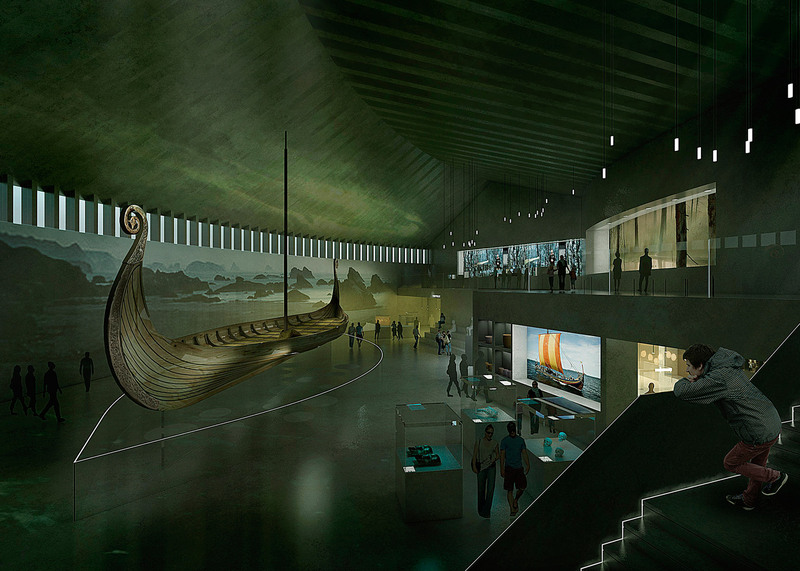 The architects hope the configuration will create a flow of activity through the exhibits in the old and new parts of the building, which chart the history of the Viking age. "The gable roof and the building communicates with the architecture of the existing building," said the architects. "The placement in the northwestern corner enables the existing building to be experienced almost as it is today when approaching the museum." 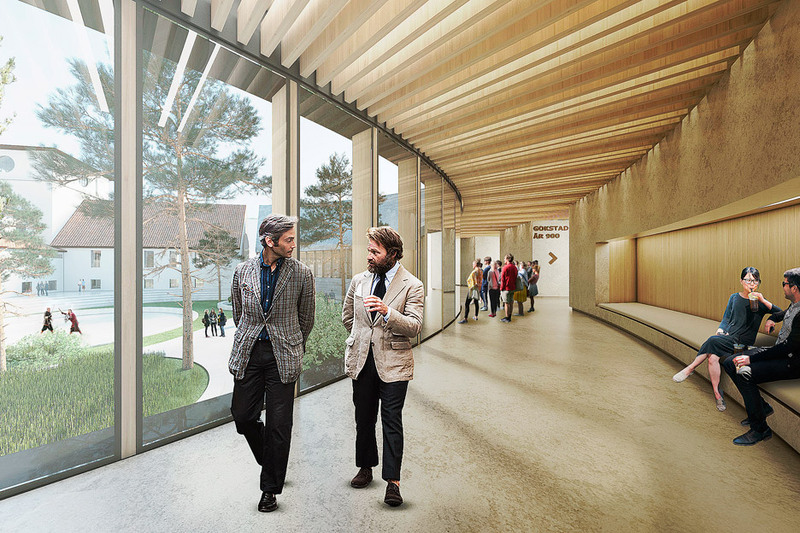 Inside, a double-height spaces will feature generous gallery levels that open onto a glazed corridor surrounding the courtyard. This dual level is intended to give visitors different perspectives on the Viking ship displays. 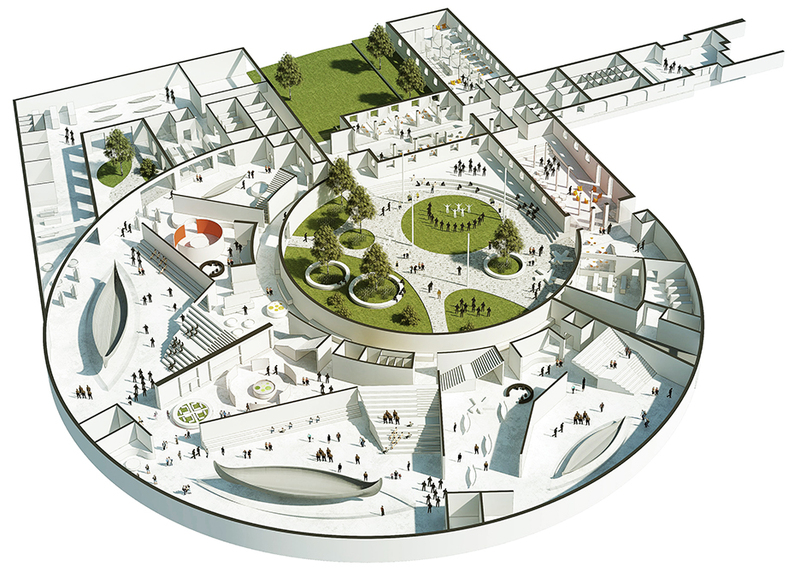 "Naust connects the exhibition areas directly to today's exhibition wings, and hence the architecture creates a continuous and impressive sequence of rooms including existing vaults," said a statement from the jury, which included architects Reiulf Ramstad and Martin Videgård, and British museum curator Gareth Williams. 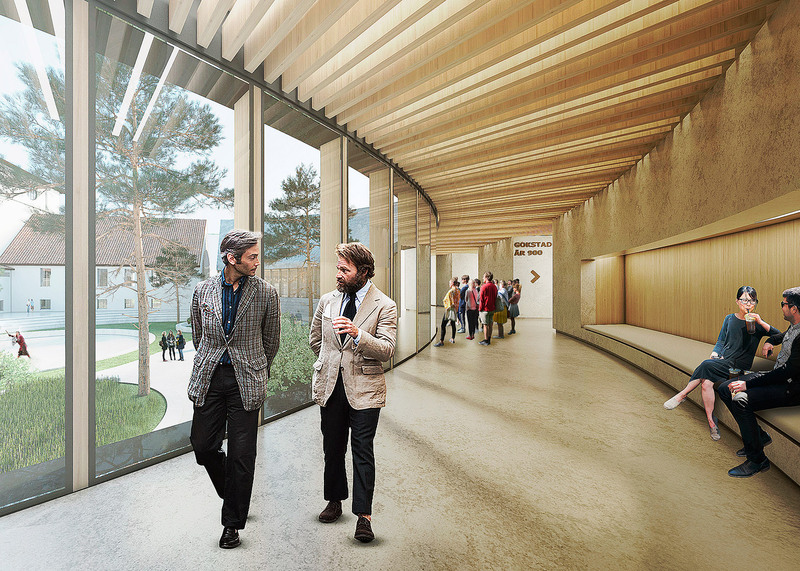 At 9,300 square metres, the extension will be almost three times larger than the existing museum, bringing its total area up to 13,000 square metres. 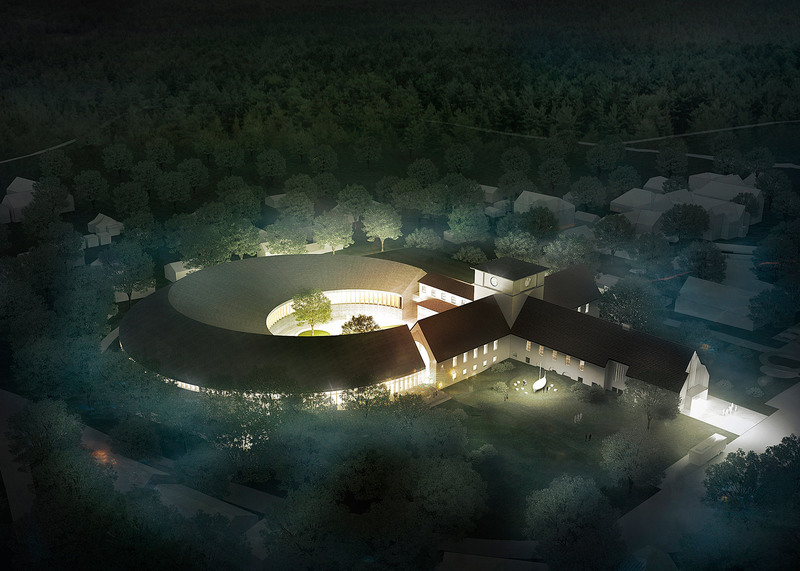 This is the second Viking-themed architecture project unveiled this year. 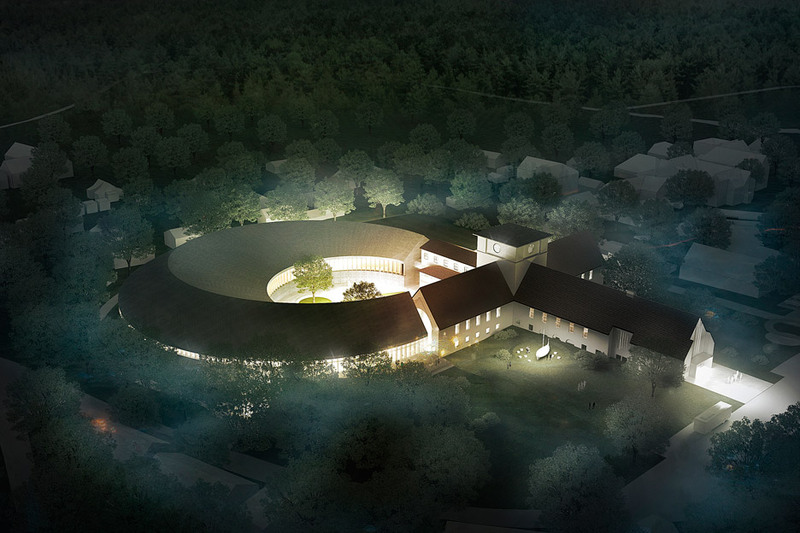 In February, Copenhagen practice PLH Arkitekter revealed its plan for a shield-shaped visitor centre at a Viking landmark in Denmark. 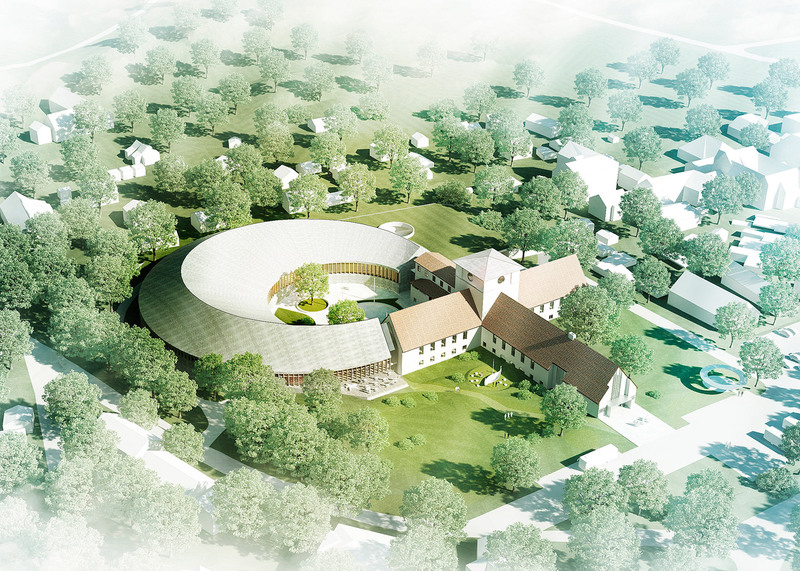 Construction of the Viking Age Museum is expected to begin in 2020 and complete by 2022. AART has offices in Aarhus, Copenhagen and Oslo. Previous projects include the conversion of former shipbuilding warehouses in Denmark to create a cultural centre and an angular timber housing development in Norway.